As someone who listens to podcasts mainly when driving (or walking my dog) I prefer the long format. It’s been frustrating the last week as some of my favourite podcasts have been cut short, meaning I have run out of things to listen to. Being in the car, it’s hard to search for other podcasts - plus illegal to use the phone whilst driving. Sometimes I like a shorter show. I have a hard time getting my show with a co-host to be short. I manage a shorter episode just fine on my own though. This New Content Management System, or CMS, is a powerful new tool that makes general podcast and content management a cinch, so that you can make quick changes as needed. We’ve taken care of the tech so that podcasters can stick to what they do best: podcasting. You’ll find it all there – the CMS is a full view of your show(s), metadata and episodes at a glance. It’s chockful of new features that allow you to do loads of things, like customize your embedded player, manage multiple episodes at once, adjust cover image sizes; and much more. Wait, so what is the Content Management System? The new CMS, is a full control panel where you can view the entirety of your Spreaker account’s content. Think of it as the backstage area, where you can access ALL your podcasts’ settings.he next most common frequency is twice per week. New CMS is super simple to use. Great addition to Spreaker and it is "INCULDED" in the product and not an additional fee-based add on service. This company continues to show how great it is. Thanks for joining us to listen this week. 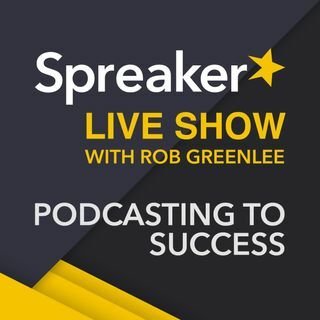 Is a big day for Spreaker.